God, does Artosis need an introduction? Anyone who has been a part of the Starcraft or Starcraft II community for any amount of time knows Artosis. Dan "Artosis" Stemkoski is a long time community member and pillar, playing competitively as Terran in Starcraft: Brood War as well as being one of the most notable commentators of that era, belonging to the foreigner clan [Media]. Artosis was a regular at WCG from the early days of Starcraft: Brood War and onward. Artosis also commentated for notable events such as the PokerStrategy TSL with fellow caster Nick "Tasteless" Plott" (Forming one half of "The Casting Archon") as well as hosting events such as "Ascension". Artosis has been living the dream, living in Korea, working at SCForAll, quitting to pursue more active playing before being approached by GOMTV for a commentating position in GSL. Artosis was active from Hour 0 of the Starcraft II beta, quickly becoming a top foreigner. Artosis was one of the early Zerg icons along with EG.IdrA popularizing the passive, macro styling that is so prevalent today. Artosis was an active member of MYM Gaming in the beginning stages of the SCII beta and release, leaving more recently, but not before qualifying for the GSL 1, where he unfortunately lost in the RO64 to NEXFreeSaga. Artosis has been one half of the popular Code S GSL casting team of "Tasteosis", offering insightful commentary for the biggest Starcraft II Starleague in the world (atm). Artosis has recently race switched to Protoss, despite his history of disliking the race in Starcraft: BW. *Edit* LOOKS LIKE OUR BOY IS IN, CONGRATULATIONS ARTOSIS! Artosis recently signed on with SixJax Gaming as their captain. Good Luck to sixjax and Artosis with this move. Artosis first NASL matches are rapidly approaching, go cheer him on as Artosis finally shows the world what he can do on the big stage! He is really awesome!! Sign me up! His interviews are <3 aswell as his casting! I want to see more youtube replay casting Artosis!!! im his loyal supporter! sign me up! finally - taht i have been waiting for a long time ! sure i am in ! Easily the greatest person and definitely one of the most personally influential Starcraft players/commentators. Will always be a huge fan, Sign me up! | QuanticGaming.com | There is no greater feeling then to find order in the chaos, as you slip the puzzle pieces in place. Artosis, thank you for being the greatest contributor to this great community ever! I'm a big fan of Artosis. Add me to the club! Artosis is the best commentator! Artosis fighting! The biggest reason I keep paying for GSL! keep up the awesome work dan. 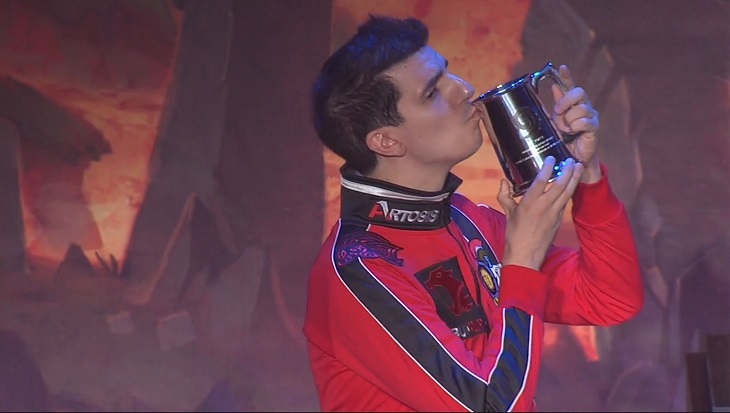 That is the cutest picture of Artosis evar. Dan Hwaiting!!! NASL would not be the same without him. Let's hope the organisers have an ounce of common sense and bring him in. great guy, sign me up! I did wonder why this didn't exist already. Now I can say SIGN ME UP! Thanks for all your hard work Artosis. All the best for the NASL. There is an army behind you! Even some screaming fangirls! I ♥ Artosis and I'm jealous of his brovelry with day9.